Anand Sharma has stressed the need to avoid protectionist tendencies by the developed economies. Speaking to a delegation of the US- Congress and German- Bundestag, here today, the Minister said “crisis leads to inward thinking but protectionism is counter-productive as it deepens recession. Wherever protectionism has been resorted to, it has never helped.” He further said that, there is a need to sensitize the US policy makers about the actual nature of outsourcing as it is well documented that for every job that is outsourced there are higher end jobs created in the outsourcing economies. The Minister emphasised that Indian companies are a major source of employment generation in the US market. ‘We need to engage more not less” the minister added. USA is one of the largest trading partner and a leading export destination. 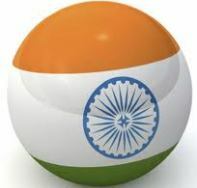 For the period April to March 2011, USA accounted for 10.17% of India’s exports and around 5.26% of India’s imports. India’s export to the US consists of Gems & Jewellery, Drugs, and Pharmaceuticals & Fine Chemical. The small farmers do not have the economic strength to retain the produce with them till the market prices are favourable. Gramina Bhandaran Yojana provides the farming community with facilities for scientific storage so that wastage and produce deterioration are avoided and also to enable it to meet its credit requirement without being compelled to sell the produce at a time when the prices are low. A network of rural godowns will enable small farmers to enhance their holding capacity in order to sell their produce at remunerative prices and avoid distress sales. It is a Capital Investment Subsidy Scheme for Construction / Renovation of Rural Godowns was introduced in 2001-2002 and extended upto 2012. To create scientific storage capacity in the rural areas to meet the requirements of farmers for storing farm produce. To promote grading, standardization and quality control of agricultural produce to improve marketability. To prevent distress sale of produce by farmers immediately after harvest by promoting pledge financing and marketing credit. To introduce a national system of warehouse receipts in respect of agricultural commodities stored in such godowns. As per National Association of Software and Services Companies (NASSCOM), though IT companies’ income has increased during the first quarter of the present fiscal, the margins have slowed down. The margins have declined primarily due to increasing wage cost, currency movement and pricing pressures, which are market driven. The Indian IT industry avails several incentives under the Software Technology Parks (STP) scheme. Besides, software is also exempted from basic customs duty. Furthermore, several items for the IT sector are covered under the ITA agreement, and hence exempted from customs duty. Under the national e-Governance plan, Government of India is implementing the Common Services Centres Scheme under which 100,000 kiosks are being set up in the rural areas of the country. These centres have internet connectivity and are providing government and business services to citizens. So far around 96000 CSCs have been set up. A project titled “National Roll Out Plan” is being executed through C-DAC (Centre for Development of Advanced Computing) wherein Language CDs containing fonts and localized Bharateeya open office and other software tools are being developed for free distribution. These CDs are being developed for all 22 constitutionally recognized Indian languages including Hindi. The steps taken by the Government to curb circulation of Fake Indian Currency Notes (FICN) in the country include stepping up of vigilance by the Border Security Force and Custom authorities to prevent smuggling of fake notes; dissemination of information on security features through print and electronic media and formation of Forged Note Vigilance Cells in all the Head Offices of the banks. Government of India have nominated the Central Bureau of Investigation as the Nodal Agency to monitor investigation of fake currency note cases. The RBI has also strengthened the mechanism for detection of counterfeit notes by the Banks. The uncertainty in the global markets due to recent developments in United States of America (USA) and Euorzone have had some impact on capital markets in India. The economy, however, is basically domestic demand driven, as about 85 per cent of its GDP is from domestic sources. Indian banking sector is robust and the export basket is increasingly diversified in terms of products and destinations, with developing economies emerging as the largest export market. The Indian growth story is, therefore, expected to remain largely intact, as its fundamentals are strong. As on Aug 2011, 38 foreign banks are functioning with 321 branches in India. During the second Petersberg Climate Dialogue, India underscored the importance of actual disbursement of fast start finance as the most important confidence building measure in the climate change negotiations. India emphasized that a gap in the promised flows and actual disbursements as well as lack of transparency in the information relating to the flow of funds was likely to undermine the confidence in the process and effectiveness of actions aimed at addressing climate change. Climate Change Finance forms a core issue in the on-going climate negotiations under United Nations Framework Convention on Climate Change (UNFCCC). According to the UNFCCC, provision of financial support to developing countries to address the challenge of climate change is an obligation that the developed country parties should urgently fulfill in order to address the problem of climate change. India is actively working with the members of G77 and China, the group of developing countries in the climate change negotiations under the UNFCCC to develop consensus on the issue of fast start finance, long term finance, the reporting mechanism of the fund flows and the Green Climate Fund (GCF) that has to be set up as per the Cancun decisions (2010 United Nations Climate Change Conference held in Cancún, Mexico). Janani Shishu Suraksha Karyakram has been launched to provide free and cashless services to pregnant women including normal deliveries and caesarean operations and sick new born (up to 30 days after birth) in Government institutions.